SpeedKore is an American Performance Company where engineers and artisans combine traditional craftsmanship with cutting edge technology. Specializing in custom performance vehicles, carbon fiber composite parts manufacturing, and engine integration. SpeedKore manufactures the highest quality carbon fiber upgrades, exceeding OEM quality standards. Designed in America. Manufactured in America. reduce weight, increase horsepower. 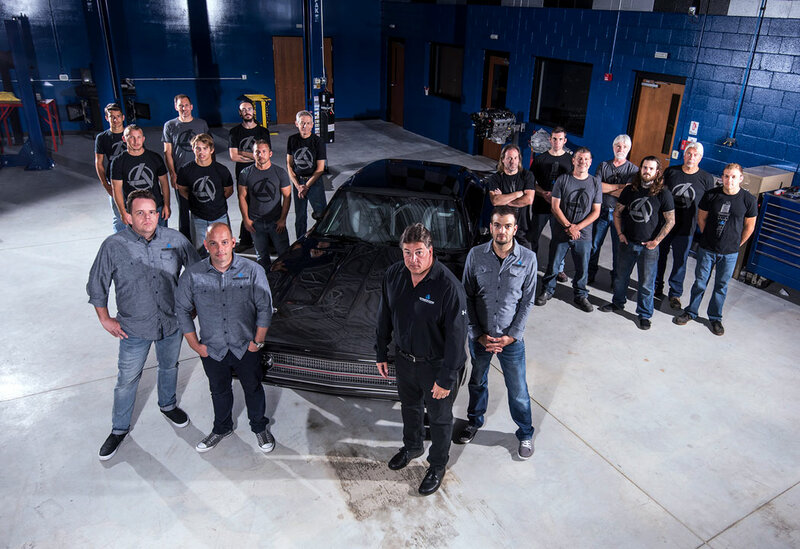 The SpeedKore advanced composite team makes things faster with lightweight prepreg autoclave carbon fiber. Speaking of fast–get in and hold on. SpeedKore packs in wicked big powerplants. 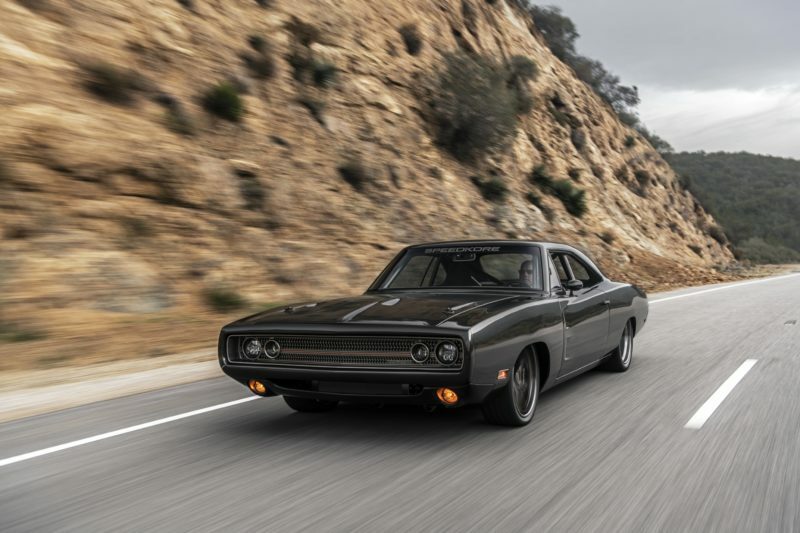 One of the more noteworthy performance vehicles in the SpeedKore line-up is Tantrum, the ’70 Dodge Charger with a 1650hp Mercury Racing QC4 engine. Tantrum debuted at SEMA in 2015 and received Gran Turismo’s “Best Domestic” award. Tantrum went on a post-show victory lap including an appearance on Jay Leno’s Garage and a trip to Atlanta for the filming of “Fate of The Furious”, the latest movie in the Fast & Furious franchise. You may have glimpsed SpeedKore’s work on the sinister, black ’70 AAR tribute seen alongside Vin Diesel at the end of Fast & Furious 6. SpeedKore‘s Tantrum also won the 2016 Car Craft Pro Builders Trophy, a highly coveted custom car builder award. Another SpeedKore vehicle that deserves mention is SpeedKore’s 2017 Ford Mustang GT Fastback. The all carbon fiber Mustang turned heads at SEMA 2016 and received the prestigious “Best in Show” Award in Design from the Ford Motor Company. Also, the SK10 Dodge Challenger Hellcat stopped people in their tracks at SEMA2016. Imagine what it will do on the street.